The Grading System for Grading Diamonds was designed by G.I.A. 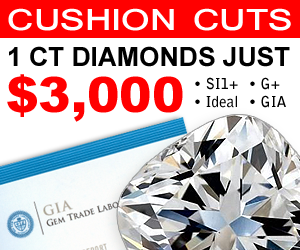 It includes: Cut, Clarity, Color and Carat Weight! 10x Means Ten Powered Magnification! It’s used in Jeweler’s Microscopes & Jeweler’s Hand-Held Loupes for Grading Gems. Alloys are Metals or Minerals that are mixed with other Metals to make them stronger and more durable. Like 14kt Gold is 14% Gold & 10% Alloy. Amethyst is the Birthstone for February. This lovely Purple Quartz is one of the most Popular, Beautiful, and most Inexpensive Gemstones found on Earth. 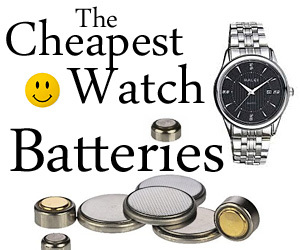 Replacement Value of Jewelry Items. 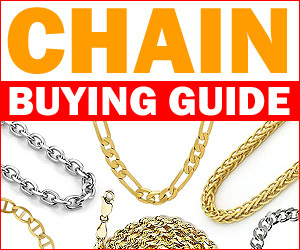 Whether it is Rings, Pendants, Bracelets or Earrings. Jewelry Appraisals are usually used for Insurance purposes. Aquamarine is the Birthstone for March. This beautiful Light-Blue Gem resembles Water and is often a favorite for people who wear Blue. A Cut of Diamond that is long & narrow. Baguette is French for “Little Sticks”. Baguettes & Tapered Baguettes are often used in Wedding Sets. A way of Setting Gemstones and Diamonds into Mountings. The Stones are held into the Pave setting by tiny, little Beads of Metal. A popular Parent Gemstone for which both Emeralds and Aquamarines come from. Beryl often comes from Pegmatites in Caves. Small Facets that are cut into the top Crown of a Diamond. They help bend light into the Diamond to reflect back Fire and Brilliance. Bezel Setting a Stone into a Mounting with nothing more than a Wall of Metal that circles the Stone and holds it down securely. Gemstones that are designated for the 12 Months of the Year. Even though there are 12 Months, there are actually 17 Birthstones in all. Tiny Marks or Flaws that show on the outside surface of a Diamond. Blemishes are usually graded differently than Internal Inclusions. 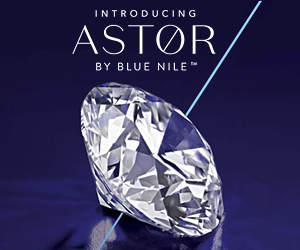 A Natural Fancy Blue Colored Diamond that emits a beautiful Blue or Blue-Green shade of Color like the well known Hope Diamond. A dark shadow that looks like a Bow-Tie and forms inside Fancy Cut Diamonds because of their elongated style of Cut! The amount of White Light that reflects back from the body of a Diamond. White Light is called “Brilliance”. Colored Light is called “Fire”. A term used to describe the combination of the Ladies Engagement Ring and the Ladies Wedding Band! They are usually sold together as a Set! The most popular Cut of Diamond in the World. The Brilliant Cut is a Round Cut Diamond that has 58 Facets on it (57 if there is no Culet). The word Carat is used to describe the Weight of a Stone. e.g. There are 100 Points in a Carat Diamond (1.00 CT). 50 Points in a 1/2 Carat (.50 CT). Carat Weight refers to the actual Weight of the Diamond. Carat Weight is one of the 4 C’s that are used to Grade and Price Diamonds! Carbon Spots are Inclusions or Imperfections inside a Diamond. Carbon Spots are more noticeable when they are Black in color! Inclusions that extend into a Diamond. A Cavity usually looks like a rough hole or deep chunk taken out of the Diamond’s surface! A way of Setting Diamonds or Gemstones into a Mounting. Channels are Walls that are built into the Ring which then hold the stones securely! The official Birthstone for the Month of November. Citrine is a wonderful Yellow-Orange Gemstone that often resembles a Golden Sunset! One of the 4C’s that refers to the amount of Inclusions inside a Diamond. The cleaner the stone, the higher the Clarity! Clarity Ranges are: Flawless, Internally Flawless, Very Very Slightly Included, Very Slightly Included, Slightly Included & Imperfect! Foggy areas in a Diamond that are Imperfections in the stone. They are often mistaken for a “White” Diamond because they resemble Salt! Cleavage refers to the way a Diamond is Cut. Cleavage lines are followed by the Cutter to determine the Shape & Cut of the stone! Color is one of the 4 C’s of Diamond Grading that refers to the Hue of the Diamond, whether it be White, Yellow, Brown or Fancy Colored! Corundum is one of the most sought after Gemstone families there is. Both Ruby and Sapphire come from this wonderful rock! It’s very durable! Crown can mean 2 things: It’s the top part of a Diamond. And also, it’s the end of a Watch Stem that’s used to set the time and date! Crystals can mean 2 different things: It’s a type of Inclusion found in a Diamond. And it’s also the Glass on the Face of a Watch! Cubic Zirconia, or CZ or Cubic Zirconium, is a man-made Diamond Look-a-like. CZ is Inexpensive, very Pretty, Colorful, but also very Brittle! The Culet is the Facet on the bottom, or tip of the Diamond. Most Diamonds have a Culet, but it’s not necessary for the Beauty or the Cut! Pearls that are man-made in a Laboratory to duplicate how Nature makes them. Cultured Pearls are often better looking than Real Pearls because they can control the shape! Cut is one of the 4 C’s that refers to the Cut of the Diamond, and not the Shape! Cut, Proportions, Facets and Depth are all rolled into one! Depth is often referred to as the Depth of a Diamond. The Depth can determine whether your Diamond is Cut to Proper Proportions or not! Diamond is not only the Hardest Natural Substance known to Man, but it’s also the Official Gemstone, or Birthstone for the Month of April! A Diamond Tester is a device used to determine if a stone is a Genuine Diamond or another Stone like CZ, or even a Lab-Made Diamond Simulant! One of the Precious Gemstones that is very Rare & Deep Green in Color. Emerald is also the official Birthstone for the Month of May! A Cut of Diamond that’s Rectangular in Shape. 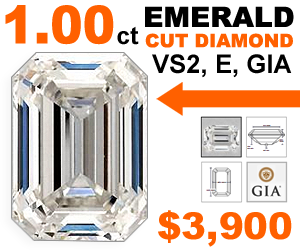 Emerald Cuts used to be very popular, that is until the Princess Cut took over! Stands for Extended Service Plan which is a great additional plan that Jewelers sell you to cover the cost of Repairing your Jewelry! Extra Facets can be a Diamond with more than 58 Facets. Or a Diamond with an Extra Facet Cut out of the stone to rid the Diamond of a defect or Inclusion! The actual Cut, Polished, Angles & Slants of the outer surface of a Diamond. All Facets should be Symmetrical and Exact. Fancy Colored Diamonds are Diamonds graded below a Z+ on the G.I.A. Color Grading Chart. The Hope Diamond is a Fancy Blue Colored Diamond. Fancy Shapes are all Diamond Shapes other than Round. Fancy Shapes are like: Marquise, Princess, Pear, Oval, Trilliant, Baguette, Heart, and more. Feathers are small Inclusions that are found inside a Diamond. These Imperfections can sometimes look like the Feathers of a Bird. Can mean 2 things: The Polish & Finish of a Diamond. Or, the surface of Gold, like Polished, Sand Blasted, Diamond Cut, Hammered, or Satin Finish. Fire is the name given to flashes of Light that emit from a Diamond that are bent and form all the different colors of the Rainbow. Fire is Colored Light! The effect a Diamond gives off when the Depth of the Diamond is too Shallow. A circle appears around the inside that looks like a Fish Eye. FL is short for Flawless! Flawless is the highest Clarity Grade given to any Diamond. It is free from any Internal Inclusions or External Imperfections! (FL) Flawless is Clarity Perfection in a Diamond! Being the highest Clarity Grade on the Clarity Chart, it’s free from any Imperfections what-so-ever! A crazy Optical Property that Diamonds have with a reaction to Light. Fluorescence makes a Diamond look foggy and often Glows-in-the-Dark. Flush Settings are when Diamonds or Gemstones are set Flush or Level in the Mounting. Sometimes called Burnished Settings or Gypsy Settings. Fracture Filling is a process where a Laser Beam is drilled down into an Inclusion, which is then Dissolved out, then filled with a clear substance. Fresh Water Pearls are grown in Fresh water. F/W Pearls are great because they are Natural, look wonderful in Jewelry and Necklaces, and are very Inexpensive! Fool’s Gold is great Mineral called Pyrite that got it’s name because most miners would confuse the Shiny Metallic Rock for real Gold! A name given to a Diamond that has all 58 Facets to it. Some Diamonds are also called Single Cuts, and they only have 18 Facets on them! The official Birthstone for the Month of January. Garnets are a wonderful Red-Orange-Rust hue that often resembles fine Wine! G.I.A. is short for the Gemological Institute of America. G.I.A. is the company that devised the well known 4 C’s Diamond Grading System. A Girdle is a Smooth, Faceted, or Rough Edge that goes around the Outer Portion of the Diamond. The Girdle is the Widest part of a Diamond. An Allergic reaction to Gold. Most people with Gold Allergies are not Allergic to the actual Gold itself, but the Nickel Alloy mixed in with the Gold. A name given to the 50th Wedding Anniversary because Gold is one of the official Gift to give for such a momentum occasion. The Grading System is actually the 4 C’s Diamond Grading System, that refers to the Diamond’s Cut, Clarity, Color and Carat Weight! Same as Flush Setting. Where a Gemstone is set flush and even with the mounting using no prongs or beads holding in the stone. The portion of the Ring or Jewelry that holds the Diamond or Gemstones. Heads often have 4 or 6 Prongs and are Soldered onto the Mounting. Heat Treated refers to a treatment used to help enhance Color in a Diamond or Gemstone. Often used with Blue Diamonds or Blue Topaz. I Clarity is the lowest Clarity Grade given to Diamonds. I Clarity has eye-visible Inclusions, and is broken down into the I1, I2 and I3 Clarity Range. Marcel Tolkowsky devised a Cut of Diamond that maximized both the Brilliance and Fire of a Diamond. Ideal Cuts are exceptional & expensive. IF stands for Internally Flawless. IF Diamonds have no Inclusions inside the Diamond, but can have some blemishes on the Diamond’s surface. Imperfections are Identifying Marks or Inclusions that are found inside or outside the Diamond. Imperfections are what Clarity is Graded upon. Same thing as Imperfections. Any Flaw that can be seen either with the naked-eye, or under 10x magnification is an Inclusion, or Blemish. Inscriptions are Laser Etched Numbers & Letters (Report #) that are laser burned into the Girdle of a Diamond. Often for Identifying the stone. Term given for the amount of Gold in a particular Metal. 14 Karat (14kt) is 14 parts Gold and 10 parts Alloy. 10kt Gold is 10 parts Gold & 14 parts Alloy. A term given to Gemstones that are not found in Nature but are actually grown and processed in a Laboratory. Moissanite is a man-made stone. The name given to the person that actually cuts the Diamonds and Gemstones. Lapidarists often take years to cut a single Diamond. A procedure where a Laser Drill Hole is tunneled into a Diamond to dissolve out any Imperfections or Flaws. Laser Drilling is a permanent process and may even weaken the Diamond. A term given to a Diamond that’s close to the milestone Carat Weights (1/4, 1/2, 3/4, 1 Carat). Like a .44 pt Diamond can actually be sold as a 1/2 Carat Diamond. A hand-held tool that Jewelers use to view and grade Diamonds and Gemstones with. Jeweler’s Loupes are often 10x Magnification. Often referred to as the shine and reflection coming from the Pearl Body. The more the Luster, the better the shine and thicker the shell. A Shape of Diamond that looks like a Football. It has two pointed sides that help give the Marquise Diamond that great elongated appearance! A term given to very small Diamonds. 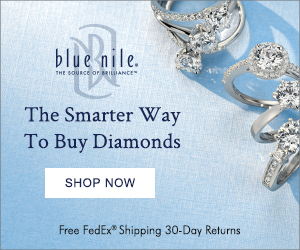 Usually small Diamonds are sold in a Melee Package of Diamonds ranging from .01 pt to .18 pts. each. is a man-made Gemstone that looks similar to a Diamond, but has more Fire and a Yellowish Cast to it. Moonstones are from a family of rock called Feldspars. Ranging in many wonderful Colors, Moonstones are known for their great healing powers! Name given for the Setting, Ring, or Jewelry that Diamonds & Gemstones are set into. Mountings can be Gold, Platinum, Silver, or any type of Metal! External Inclusions that exist on the outside of the Diamond. Naturals are usually found around the Girdle of the Diamond looking like a rough nick. A Metal usually mixed with Gold to form 14kt or 10kt Gold. 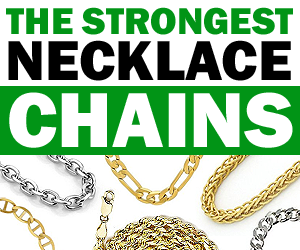 Nickel makes the Metal durable enough to be used for Jewelry. An Old Cut of Diamond that dates back for Centuries. Old European Cut Diamonds are hand-cut, & often Thicker, Deeper, with a larger Culet! A wonderful Cut of Diamond that’s Oval in Shape. Oval Cut Diamonds tend to look larger than other Cuts of Diamonds due to it’s soft edges & curves. Unlike true Bezel Set Mountings where a wall of Metal would encircle around the entire stone to hold it in, Partial Bezels only have half a Bezel, and grip opposite sides of the stone! Pave Setting is used to describe small beads of Metal that are used to hold Diamonds or Gemstones in the Mounting versus Prongs or Heads. The Pavilion is the bottom section of a Diamond. The entire bottom half of the Diamond (from the Girdle down) that comes to a point is the Pavilion. A Fancy Diamond Cut that’s Round on one end (like a Brilliant Cut), and Pointed at the other (like a Marquise Cut). it’s also called Tear Drop! Very Tiny Imperfections or Inclusions inside a Diamond that look like dots or a group of dots. Pinpoint flaws affect a Diamond’s Clarity Grading! Platinum is a very durable Pure Metal that’s used for making White Metal Jewelry. Platinum is a tough to work with and very, very expensive. When you see Plumb Gold or KP (Karat Plumb) stamped inside your Ring or Jewelry, it means that it’s at least 14kt Gold or higher in Gold content. Polish can mean the Finish or Smooth Surface of a Diamond. It can also mean the Finish or Surface of Metals like Gold, Silver and Platinum. 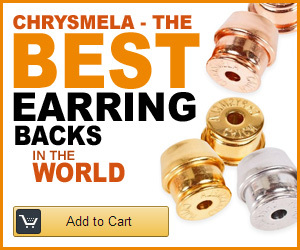 Posts are the long thin Metal ends of an Earring that go through your ears. Earrings that have Posts & Backs are referred to as Post Earrings! Princess Cut Diamonds are normally Square in Shape, but are often found Rectangular as well. Being very popular, Princess Cuts tend to look rather large! A Ring given as a token of Appreciation, Love & Commitment. Promise Rings have taken new meanings lately symbolizing Abstinence & Waiting! Type of Mounting that holds stones in with Prongs. Prong Settings are perfect for showing off Diamonds like in a Diamond Engagement Ring! The Angles, Cuts & Percentages that make up the Diamond. If the Facets, Girdle, Depth & Angles are all Cut well, it can have a Great Proportion or Make. A Shape of Cut that is Rectangular. Radiant Cuts are wonderful Cuts of Diamond that never really became as popular as the Princess Cuts. A term used to remove your Gemstones from your old mounting & reset them into a brand new one. Jewelry Remount Shows are very popular! 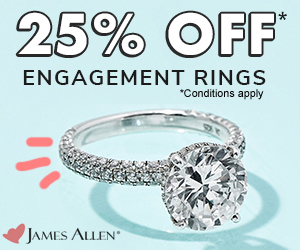 Retipping is when the Prongs of your Ring or Jewelry get low & the Jeweler adds Gold or Metal to the tips of them making them more durable again. A durable White Metal that’s Plated to the outside of Rings & Jewelry. White Gold is Rhodium Plated to make it look Whiter. Silver may be as well. A member of the Corundum Family (that includes Sapphire). Ruby is very durable, a 9 on the Mohs Scale. Ruby is Deep Red, Precious & Expensive. A member of the Corundum Family that’s very Durable and very Expensive. Sapphire comes in all colors of the Rainbow except Red (that’s a Ruby)! Shape refers to the Physical Shape of the Stone. 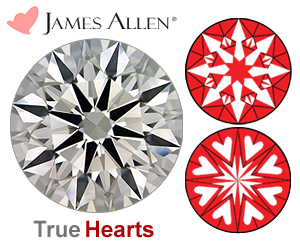 Round, Marquise, Oval, Princess Cut, Trilliant, Radiant, and Heart, are all great Diamond Shapes! The word Shank refers to the bottom part of a Ring. The actual band that wraps around your finger is called the Shank! A Thin Shank is Bad! SI Clarity makes up the Clarity Range of SI1 and SI2. (You’ll also find SI3, but it’s not recognized by GIA) SI is a great average Clarity that has Small Inclusions in them when viewed under 10x Magnification. A very Abundant, Soft White Metal that’s used for Jewelry all over the World. Silver is 100% Pure. Sterling Silver is 92.5% Pure making it more durable. Single Cut Diamonds are small Diamonds with just a couple of Facets on them. Usually around 18. Single Cuts are used a lot for side Diamonds. Process of Sizing a Ring up or down to fit a finger. Sizings are done by Cutting the Shank, Adding/ Removing Metal, & Soldering it back together again. A Durable White Metal that’s used in Today’s Modern Jewelry. Being very Distinct, Masculine, Durable & Inexpensive, Men love the look & feel of Steel. Diamond Switching is when a Jeweler switches out your Beautiful Diamond with a Lower Quality of Diamond. It’s wise to Prevent Diamond Switching by knowing your Diamond, and having it Laser Inscribed! Symmetry refers to how perfect a Diamond is Cut. Facets should be Proportional & line up with all the other Facets to form Great Symmetry. The Table of a Diamond is the top flat Plate of the Diamond. A smooth Surface that Reflects Light & also allows Light to enter & exit the Diamond. When your Gems or Diamonds are loose in the Setting, Jewelers will Squeeze the Metal Prongs, Channels or Mounting together to tighten them. An extremely durable Metal that has a Gun-Metal Gray look to it. Titanium is a very Popular and Inexpensive White Metal used in Jewelry Today. The Entire Diamond Weight added up as one lump sum. A Ring may have 1.00 Carat in the Center, but have 1.50 Total Diamond Weight all together. Trigons are Triangular Shaped Growth Lines that appear on the outside of a Diamond. Usually seen on the Diamond’s Girdle, they do affect the Clarity Rating! Diamond Shape that looks like a Triangle. Also called Trillion! Trilliant Cuts are beautiful Cuts that were once popular, but now hardly seen! Ultrasonic Cleaners use Ultrasonic Sound Waves to break up dirt particles off Rings & Jewelry and Cleans them very well! VS stands for Very Slightly Included. VS Clarity is a great Diamond Clarity that has hard to see flaws only visible under 10x Magnification. VVS (Very Very Slightly Included) is one of the Best Diamond Clarity Grades on the market. Very Clean, Very Awesome, Very Expensive! 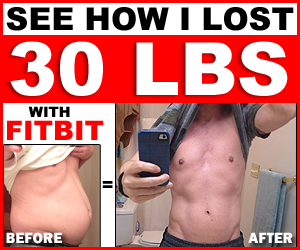 Weight refers to Carat Weight or Karat Weight. Diamond Carat Weight is usually marked as CT and Gold Karat Weight is usually marked as KT. A man-made White Metal that was made as a substitute for Platinum. White Gold is Yellow Gold with White Alloys added to make it look Whiter.